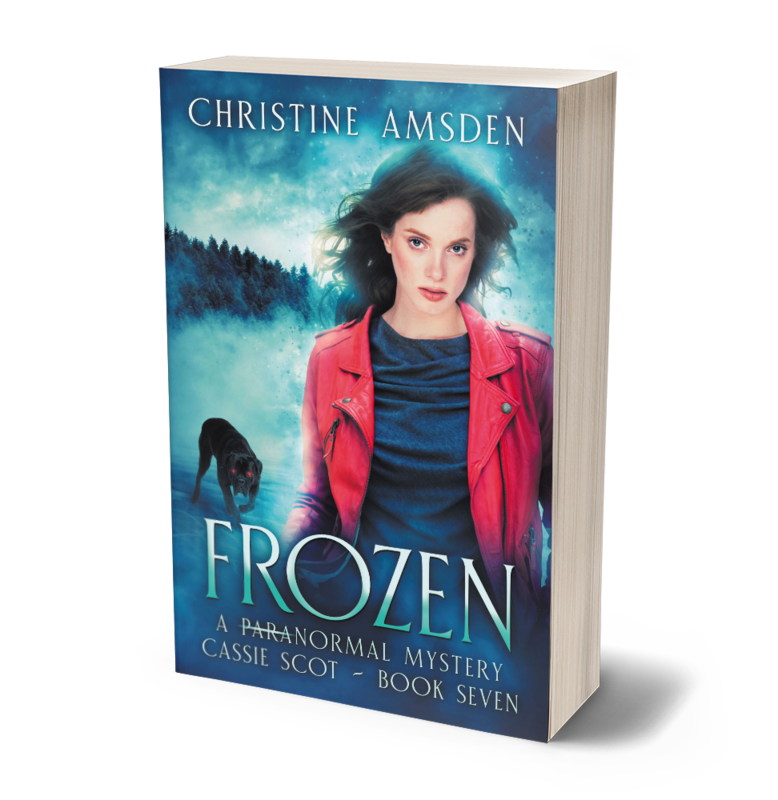 Reviews are starting to come in for Frozen (Cassie Scot Book Seven) and I am thrilled by the response! This book was a labor of love. I know, in my head, that Cassie Scot is not the series I should be working on right now. It’s not the smart career move, for reasons I won’t bore you with. And I AM working on other projects. I’ve got a completed science fiction novel involving a mysterious and impossible pregnancy, and I have nearly finished a multiverse story that is, on a superficial level, an Anastasia retelling. But Cassie has always had more stories to tell, whether I wanted to listen to her or not. Last fall, I took about three months to write Frozen. For those who know me, you get how phenomenally fast that was! And I’m making no apologies — I allowed myself to write this book under two conditions: First, that I write it quickly, with a minimum of fussing and rewriting. Second, that I published it with no expectation of success, mostly as a thank you to my fans. At this point, I’ve honored the first condition and am struggling with the second. Of course, now that it’s out, I want it to do well! Yet this story has come out of the darkness, so to speak. I struggled with burnout and depression for a long time after the release of Kaitlin’s Tale, which sold poorly compared to the rest of the books in the Cassie Scot series. The reviews were great, and it won the usual awards, but I couldn’t help wondering what I was doing wrong and what it was all for. Remember that, first and foremost, writing is supposed to be fun. 1. Buy the book. It’s really good! Or if you never got caught up, buy the next book in the series. They’re all good! 2. Review the book. Do this honestly. I don’t need fake five-star reviews clogging up my Amazon ratings and looking suspicious. If you think the book is entertaining but not brilliant, three stars, go with that. Short and sweet is fine. One review I got for Frozen said, in its entirety: “loved this book. I have read book 1 and 2 of this series. I love the characters. They are characters a reader can connect with, I know I did. The paranormal mystery is always a page turner.” Works for me! 3. Follow me on social media. Like my Facebook page. Send me a friend request. I’m working on Instagram; you can follow that account and know I’ll put actual pictures up soon. 4. Like, comment, and share! This is where the real work of supporting an author comes into play. My circle of friends is only so big. I need that circle to share with their circle, or my shout-outs become little more than whispers. I welcome comments and e-mails. Thank you for following.